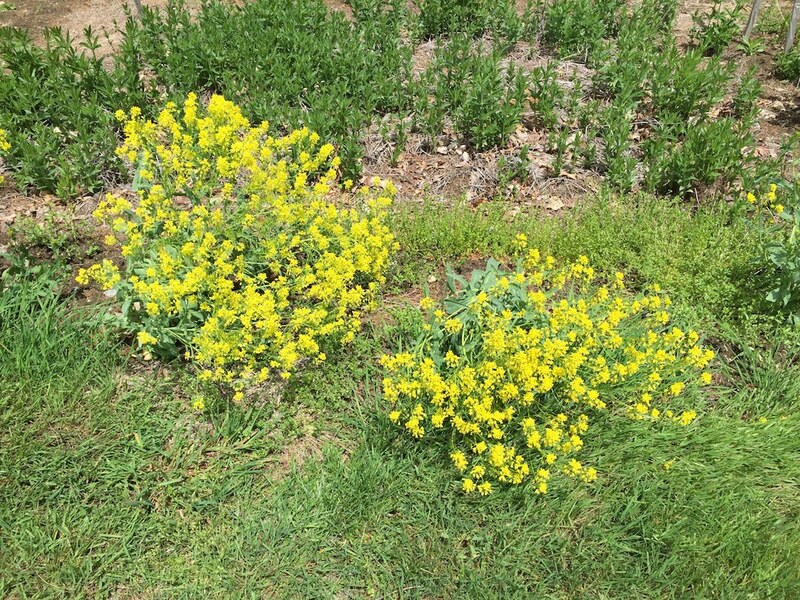 Woad is a biennial, which means it flowers and sets seed in the second year of growth. 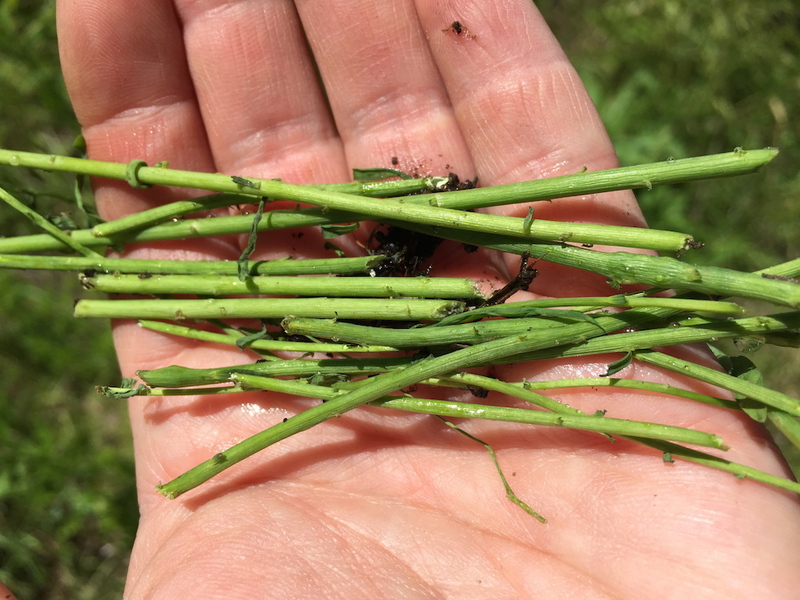 I thought I’d share a little bit about the life cycle of woad and how last year’s plants fared this spring and summer. 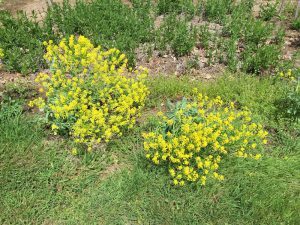 Here are some photos of the state of things over at the dye and fiber plant garden at Bramble Hill Farm on May 15, 2016. 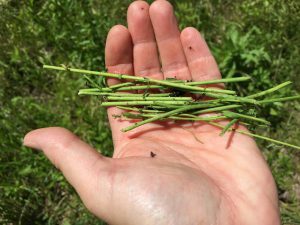 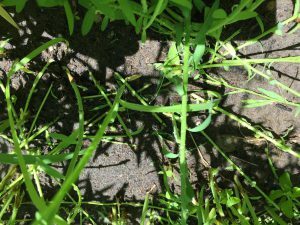 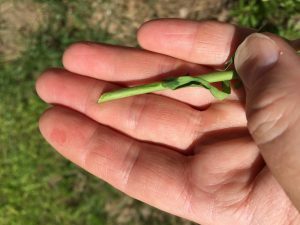 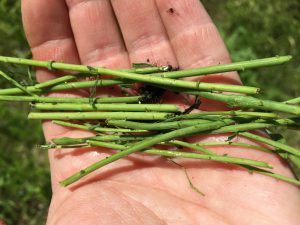 In this post I will show some photos of the beds I dug for planting flax this year, and some photos that reflect my desperation as I waited for signs that the seeds were actually germinating!